Below the books, I've also put links to some online English paper piecing resources that you might find useful. 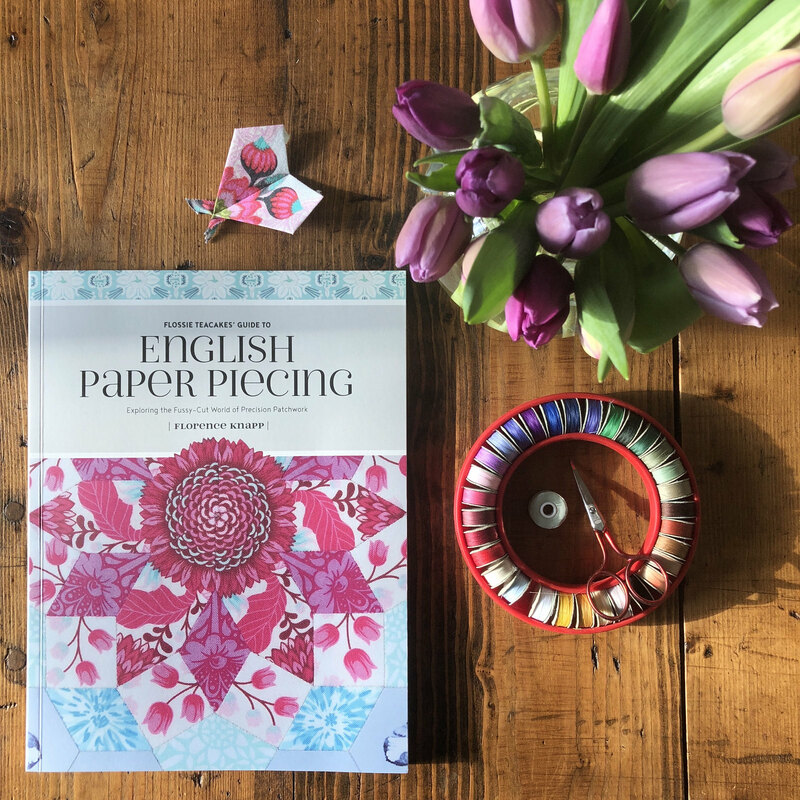 Flossie Teacakes' Guide to English Paper Piecing, by Florence Knapp - My book on English paper piecing will be published in May 2018 in the US and June 2018 in the UK. It's a book of two halves, which I'll tell you a little about here. The first half is full of discussion, stories and interviews, not just about English paper piecing, but more generally about working with our hands. Amongst other things, it will take you on a journey into prisons to hear about men who hand-sew as a way of creating a new life for themselves; we'll look into why humans are so drawn to symmetry and repeating pattern; I'll bring you with me on a day trip to see Lucy Boston's English paper pieced quilts in person; we'll consider how fabric has influenced the English language; you'll find out how the acclaimed novelist Tracy Chevalier came to write a story about hand-pieced quilts; we'll explore why people feel compelled to sew and what the mental and physical benefits of doing so might be; we'll meet the granddaughter of a man whose individual quilts contained more pieces than I could ever hope to sew in a lifetime; and from there, we'll go on to discuss what drives some people to undertake (and successfully complete) such extraordinary feats of quilting. In my research, I pored over books and papers written by quilt historians, neuroscientists, physicists (Richard Feynman and quilting have more in common than you might first imagine), psychologists and mathematicians, as well as consulting with fellow quilt-makers - the result is an eclectic collection of bite-sized articles and essays (for want of better words - neither of those actually feel quite right), rounded off by a series of interviews where I'll introduce you to some of my favourite modern-day English paper piecers. In the second half of the book, there's an extensive techniques section that covers everything from looking at how different shapes tessellate, to how to make your own templates, along with step-by-step instructions and photos walking you through every technique you might need for EPP. The book also takes an in-depth look at fussy cutting and the effects that can be achieved by cutting fabrics in a variety of different ways (there are some fun visuals to go with this bit). Finally, there are three rosette patterns, each named after a place where I've lived, and then a bigger quilt pattern that contains more advanced techniques, including tackling curves. You can find out more about the book in this blog post, including links for pre-ordering. 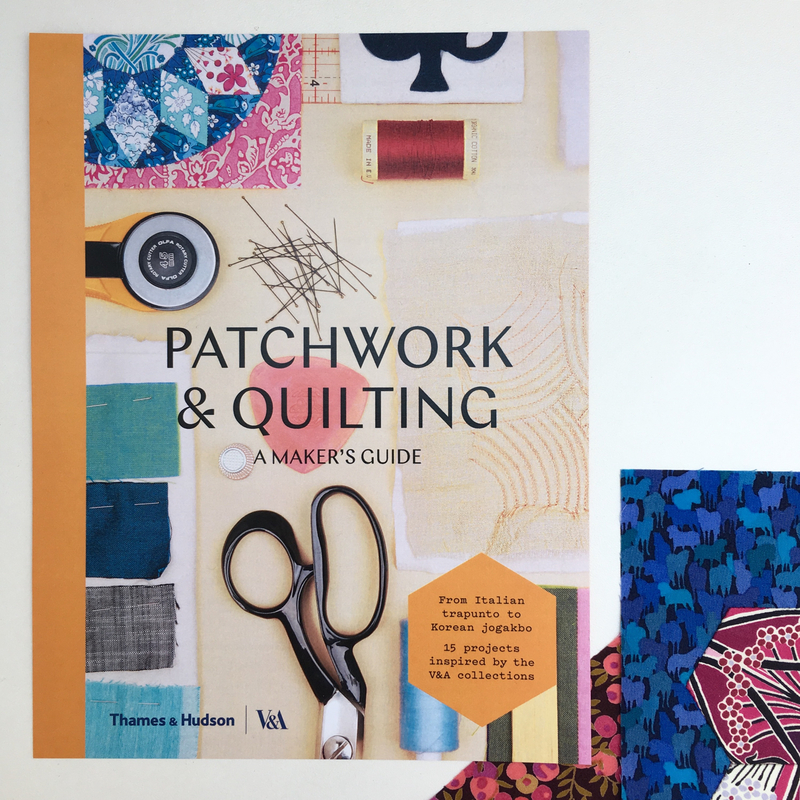 Patchwork & Quilting: A Maker's Guide, V&A / Thames&Hudson - I created a trio of English paper pieced blocks for the V&A Museum, which are featured in their beautiful book 'Patchwork & Quilting: A Maker's Guide'. The blocks are based on some that appear in a quilt, dating from 1797, called 'The Sundial Quilt', which features as a part of the V&A's collection. If you'd like to find out more about the book, just visit this blog post. Online English Paper Piecing Resources - If you would like some online information about English paper piecing, I've written posts about how to fussy-cut fabrics; shared my favourite thread for EPP; done a huge amount of geeky research to discover my favourite needles for EPP; discussed how to frame EPP; and written a beginners guide to EPP back when I was still a beginner myself (I must update that at some point!). If you'd like to buy an English paper pieced PDF Pattern to download right away and print at home, I have a few that you might be interested in: Eight Dials; Ring-a-Roses; Perpetual Spring; or Peony. The latter two may better suit someone who's already completed one or two small EPP projects, as they both contain curves. 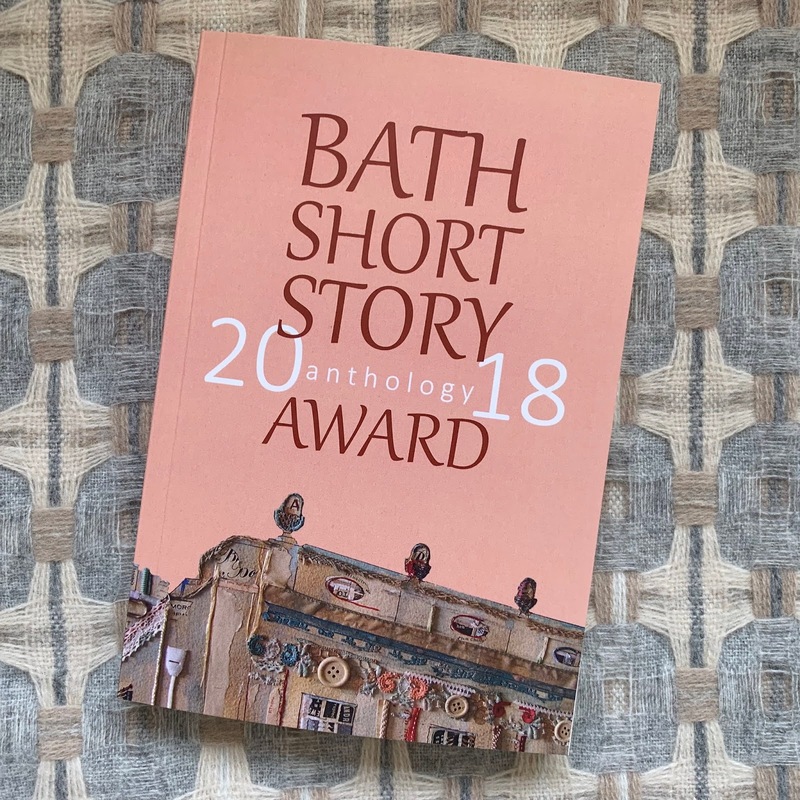 2018 Bath Short Story Award Anthology - In November 2018, I had the treat of seeing my first piece of fiction published in this gorgeous anthology. 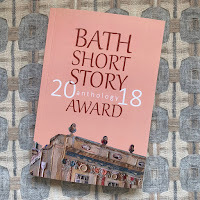 I entered a short story into the Bath Short Story Award earlier in the year and was amazed to find it being long-listed, then shortlisted, and finally winning the Acorn Award, which goes to a previously unpublished writer of fiction. It made me doubly happy for it to appear in an anthology with a handmade cover design, created by Elinor Nash, showing Bath’s lovely rooftops. If you'd like to read the stories in this anthology, you can find it for sale here.